Industrial and domestic door manufacturer Hörmann (UK) Ltd. has celebrated its recent project wins by taking to the Silverstone racetrack for an unforgettable driving experience. Hörmann has enjoyed a strong start to 2016 with 20 projects on the books and 500 loading bays already ordered for the year. The leading industrial door and loading bay manufacturer is continuing to work on big shed builds with major retailers such as John Lewis and recently finished a project with TNT where 101 doors were installed at a new depot in Swindon. Hörmann is also expanding into new business areas and taking on a number of exciting, unique projects. 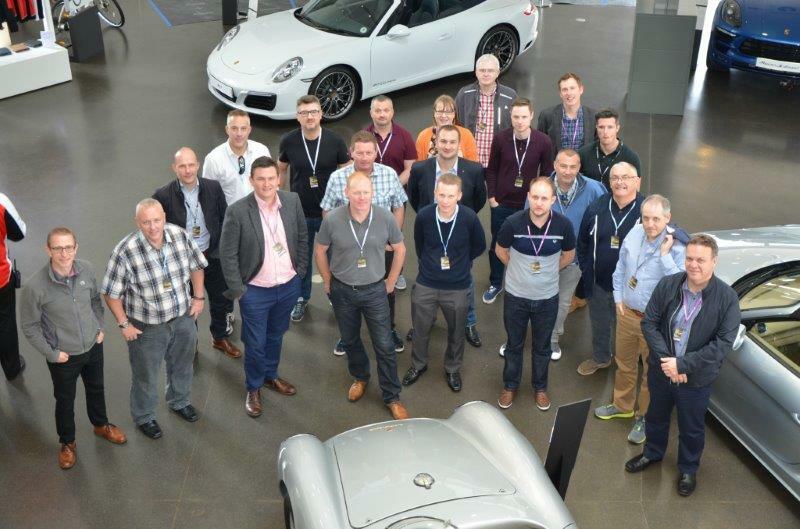 To celebrate this success, Hörmann invited business partners from new major projects to join its team at the home of British motor racing for an action packed day at the Porsche Driving Experience Centre. The day consisted of a variety of exciting activities, with participants getting behind the wheel and receiving one-to-one tuition from specialist Porsche driving consultants. The group experienced the highly praised 911 Carrera C2 and C4 on a handling circuit, the powerful Boxster and Cayman, as well as the Macan and Cayenne in an on and off-road session. The day culminated with a tour of the Porsche Human Performance facilities. Equipped with state-of-the-art technology, this specialist sports science laboratory offers a variety of tests to provide a greater understanding of driving-specific health and fitness levels.